Belle Terre Beauty! 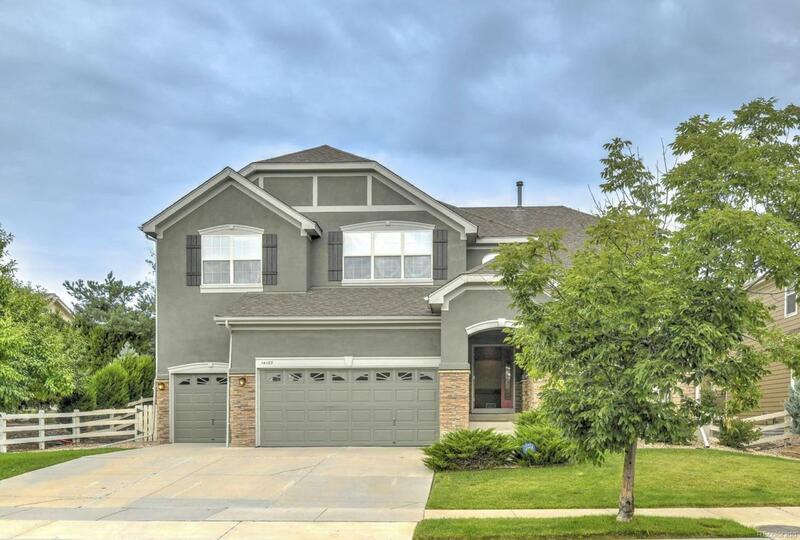 Come see this wonderfully crafted home in the much desired Broadlands Golf Community! This little gem was built in 2004 by Morrison Homes w/many fantastic upgrades including gourmet kitchen, cabs, granite counters/backsplash/island, stainless appliances, double oven, dining room bay window, Low-E windows, 4 panel solid wood doors, wood trim throughout, 3 Car Garage, covered front porch, stamped concrete backyard patio w/gas BBQ rough in, Huge Master Suite with sitting area and 5 piece Master Bath, rough ins for main flr laundry sink and basement bath, ceiling fans, custom door knockers, attic fan, TWO tandem 50 gal water heaters (2013-you will never run out of hot water), 60 ounce carpet/pad (2013), backyard rabbit resistant fence (2013), dishwasher (2014), 5-ton A/C (2015), furnace blower (2017) and new ext paint (2018). Highest Builder exterior upgrade Elevation C. Near amenities incl community pool & Broomfield trail system. Award Winning Adams 12-5 Star Schools. Offered by Colorado Realty Partners.